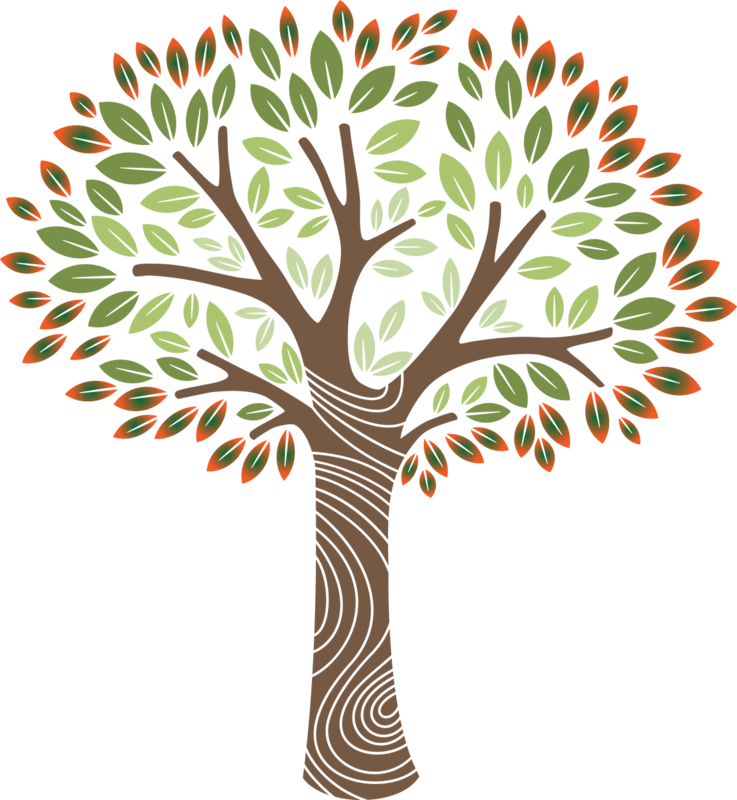 Below are a number of indispensible resources for families and caregivers that PLTC members have recommended over the years via the listserv and elsewhere. We hope you find them useful! If you have any questions about these resources, or would like to suggest some that aren’t here, please email . Castleman, M., Gallagher-Thompson, D., & Naythons, M. (2000). There's still a person in there: The complete guide to treating and coping with Alzheimer's. Penguin. Dolores Gallagher-Thompson, PLTC member and Stanford Professor of Psychiatry and Behavioral Science coauthored this guide in 2000. In part informed by her lifelong research and scholarship, as well as her own personal experiences in caregiving, it still has value today. 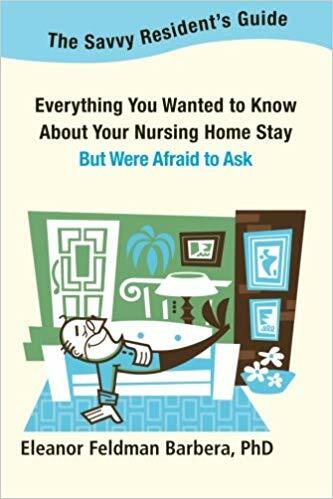 Barbera, Eleanor Feldman (2012), The Savvy Resident's Guide: Everything You Wanted to Know About Your Nursing Home Stay But Were Afraid to Ask. Psychology Insights Press. Eleanor Feldman Barbera is a longtime PLTC member, and runs a successful blog on long-term care and caregiving issues which is featured regularly on McKnights. Mace, N. L., & Rabins, P. V. (2011). 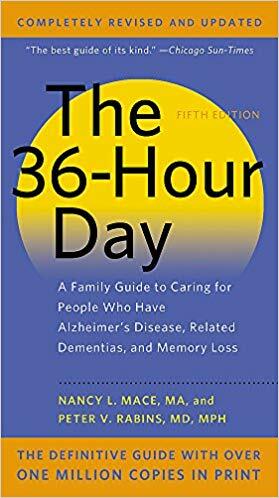 The 36-hour day: A family guide to caring for people who have Alzheimer disease, related dementias, and memory loss. JHU Press. Currently in its 6th edition, this book is a classic and is typically the first one recommended for family caregivers who have a family member at home or in facility care. Lebow, G., Kane, B., & Lebow, I. (1999). 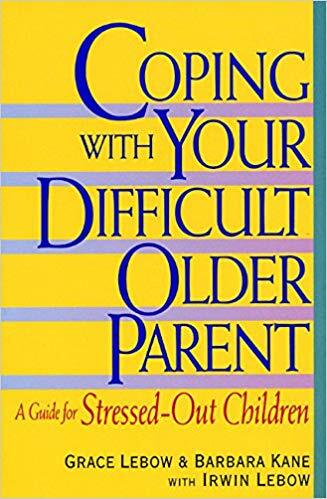 Coping with your difficult older parent: A guide for stressed-out children. Avon books. Grace Lebow and Barbara Kane co-founded the Aging Network Services of Bethesda, Maryland. This is their first book, and helped spawn a nationwide network of professionals who assist families caregiving for family members in the home. Strauss, C. (2002). Talking to Alzheimer's: Simple Ways to Connect When You Visit with a Family Member or Friend. New Harbinger Publications. Ever wonder how you talk to someone with Alzheimer’s disease? 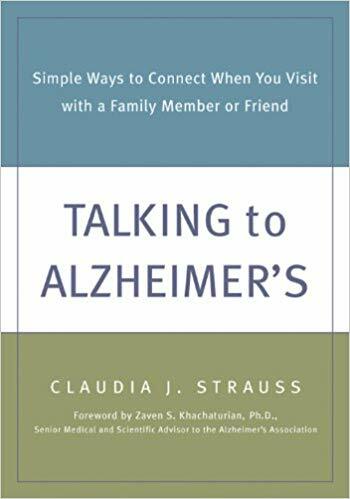 This book offers suggestions, do’s and don’ts, for how to communicate with the Alzheimer’s patient in your life. Smith, P. B., Kenan, M. M., & Kunik, M. E. (2011). Alzheimer's for Dummies. John Wiley & Sons. 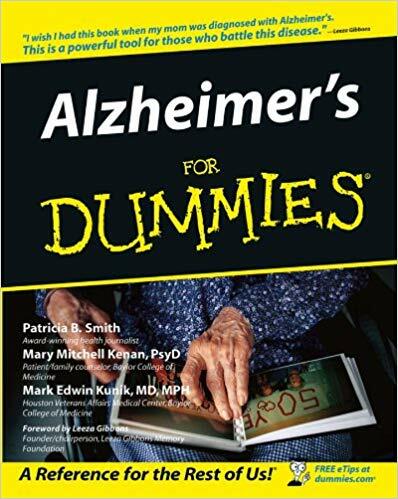 Of course they made a “For Dummies” book about Alzheimer’s! 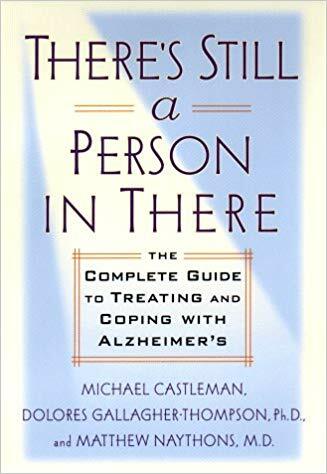 Chock-full of practical information for caregivers and family members, the book takes you through the basics of identifying, medically managing, and caring for someone with Alzheimer’s disease. Shanks, L. K. (2005). Your name is Hughes Hannibal Shanks: A caregiver's guide to Alzheimer's. U of Nebraska Press. 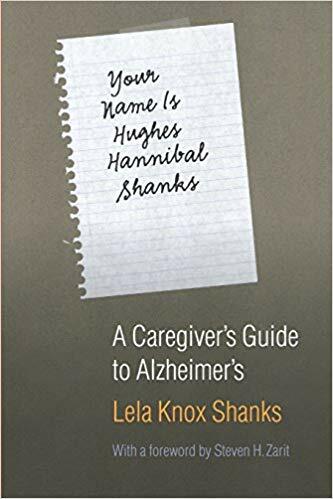 This book is a first-person accounting of the author, Lela Knox Shanks, caring for her husband, Hughes, in their home after he was diagnosed with Alzheimer’s Disease. Forward by noted geropsychologist Stephen Zarit. Koenig-Coste, J. (2008). Learning to speak Alzheimer’s: A groundbreaking approach for everyone dealing with the disease. Houghton Mifflin Books. Bell, V., & Troxel, D. (2012). 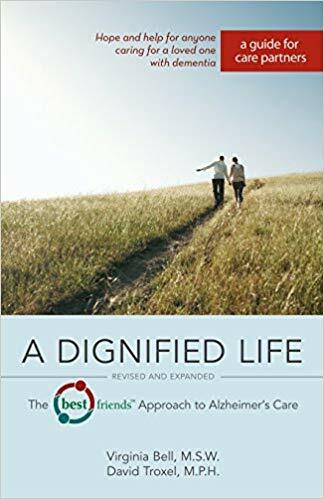 A Dignified Life: The Best Friend’s Approach to Alzheimer's Care: A Guide for Care Partners. Health Communications, Inc.
Another excellent resource on communicating with and managing older adults in the home who have Alzheimer’s dementia. Caring for an older adult with terminal illness or dementia can be very difficult. 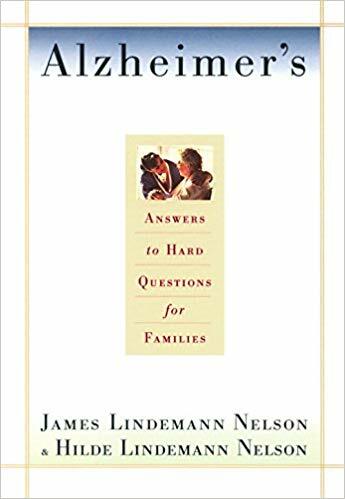 While there are a number of quality books written from the perspective of care professionals, Alzheimer’s: Hard Questions is unusual in that it’s written by two bioethicists, husband-and-wife team of James and Hilde Lindemann Nelson. Worth checking out! Salamon, M. J. & Rosenthal, G. (2003). 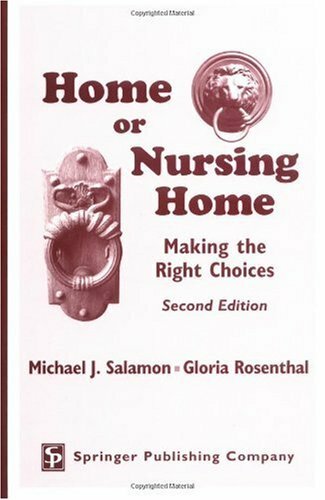 Home or Nursing Home Making the Right Choices (2nd ed.) Springer. If you’re dealing with a family member who is debating the pros and cons of whether or not to place a loved one in a nursing home – this is the book for them! It’s a practical book designed to inform, guide, and reassure families as to all the different aspects of this difficult decision. FitzRay, B. J. (2001). 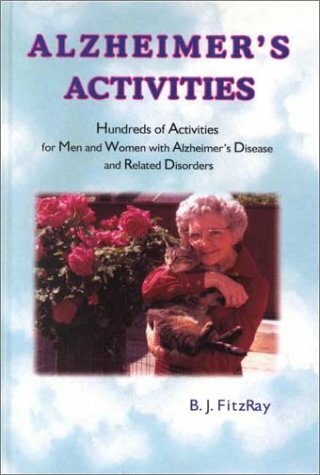 Alzheimer's Activities: Hundreds of Activities for Men and Women with Alzheimer's Disease and Related Disorders (Vol. 1). Rayve Productions. Another very useful “cookbook style” resource book that compiles a comprehensive list of creative activities to engage dementia patients as well as their caregivers. This book is designed for clinical staff, family members, and activity directors. Joltin, A., Camp, C. J., Noble, B. H., & Antenucci, V. M. (2012). 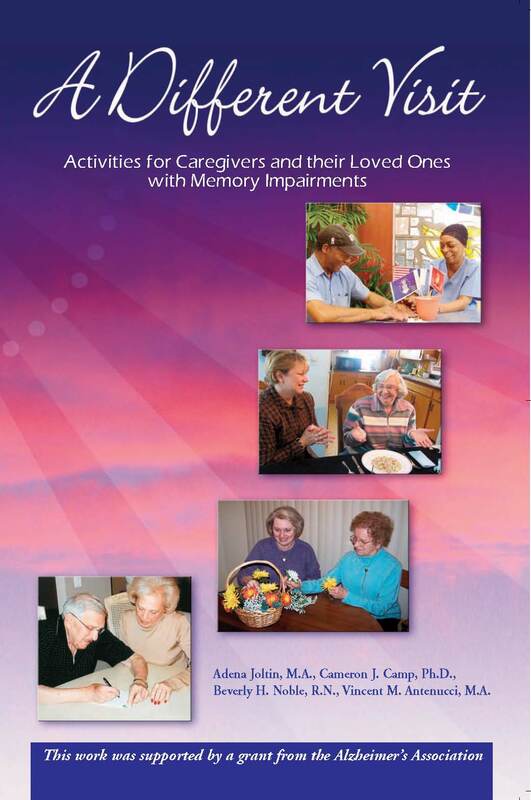 A different visit: Activities for caregivers and their loved ones with memory impairments. Center for Applied Research in Dementia. Continuing with the theme of “cookbook style” resources primarily designed for family members (but can also be useful for professionals!) this expertly designed resource book offers a variety of joyous and fun activities you can do when you visit your loved one who may have dementia. Brener, A. (2017). 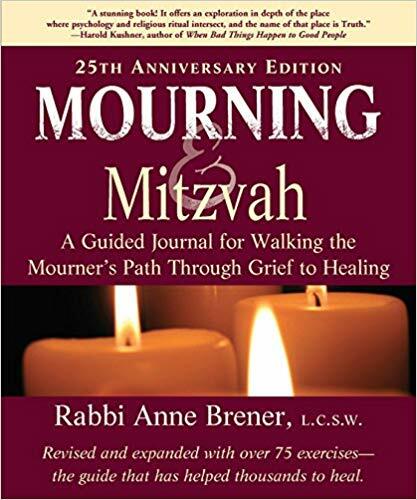 Mourning & Mitzvah: A Guided Journal for Walking the Mourner's Path Through Grief to Healing: with Over 60 Guided Exercises (3rd Edition). Jewish Lights Publishing. This book, now in its 3rd edition, gives a uniquely spiritual insight into the process of grieving and mourning, from a perspective informed by the Jewish faith. Rando, T. A. (1991). How to go on living when someone you love dies. Bantam. By bereavement specialist Therese Rando, this book gives valuable insight for readers as to how to understand and talk to others about your grief, talk to children about death, resolve unfinished business, and engage in appropriate self-care. 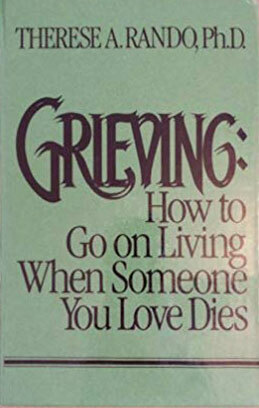 It also has practical tips as well, like how to plan funerals and even personal bereavement rituals.